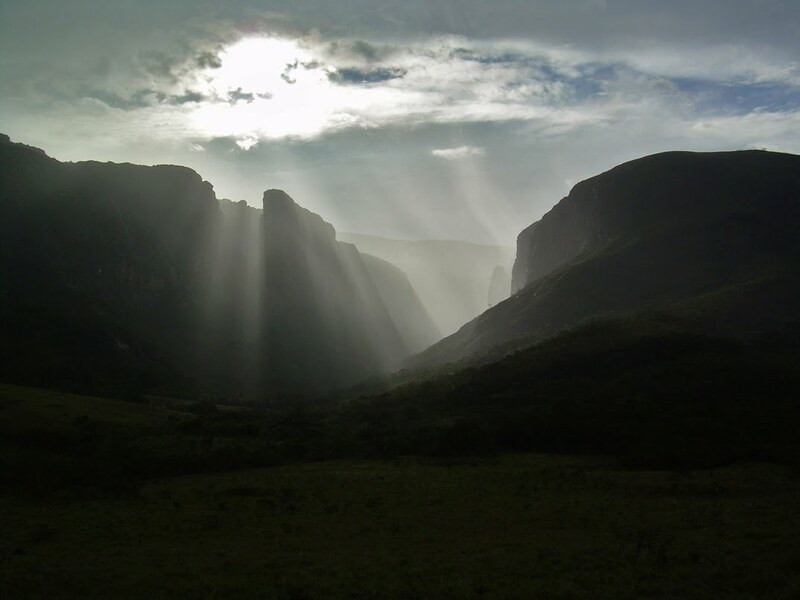 Serra Do Espinhaço mountain range, in Minas Gerais and part of Bahia, form the divide between the tributaries of the São Francisco River and the streams that descend directly to the Atlantic on the east. Their peaks reach between 3,600 and 6,500 feet (1,100 and 2,000 m). Since the early 18th century the Espinhaço Mountains have been mined for gold, diamonds, and gems, but they are now economically important chiefly for their vast store of iron ore. It is also know for its major thunderstoms, which develop from the forced ascent of conditionally unstable air along the mountain barrier. Atmospheric discharges have very peculiar features. Interest in the topic is partly due to the consequences of hazard to populated areas, but little is know about their effects on rocks and minerals. 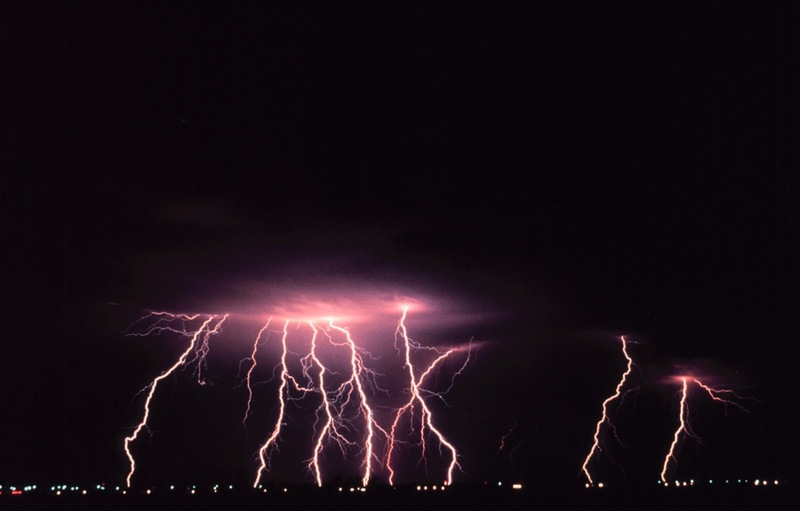 According to digger reports from mountain ranges in central -eastern Brazil, many apparently enigmatic dynamic deformation features on sediments and rocks are related to lightning strikes. There are documented furrows in Precambrian quartzites with 100 m long with blocks ejected as far as 30 m. Fissures 30 m long, gigantic blocks dislocated from their original position. Proving the origin of such features is a difficult task. 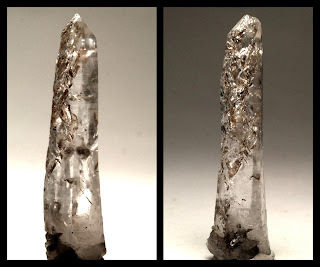 Evidences of the effect of this special lightning on lightning-struck quartz crystals are the presence of beta-quartz (which only forms at temperatures over 573°C), along with the presence of cristobalite, the high-temperature modification of quartz (which forms at temperatures of about 1,715°C). Also, an enormous pressure of about 35.00 bar (508 psi) is evidence by the presence of coesite, the rare high-pressure polymorph of quartz. 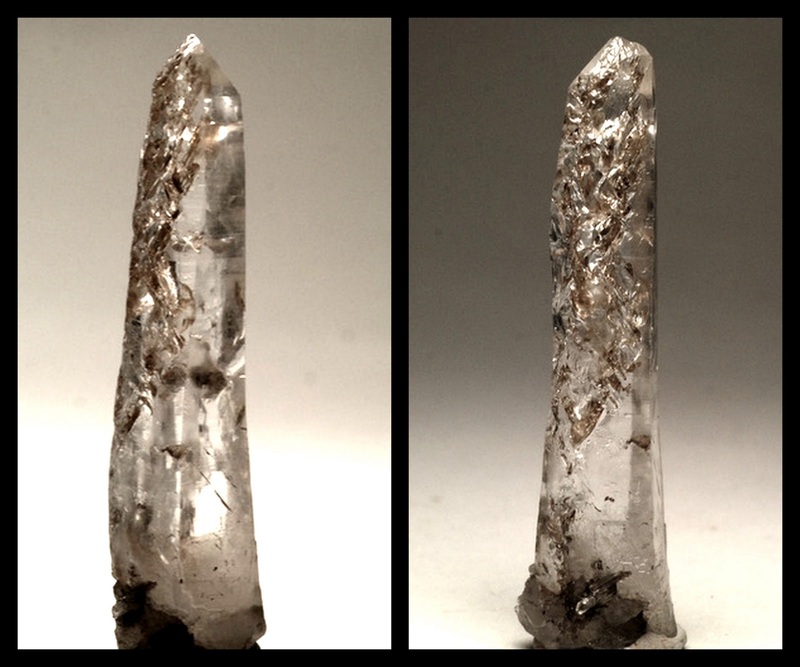 The stress caused by this very rapid heating and cooling, along with the intense electrical charge and the high pressure, creates a characteristic crisscross fracture pattern on the surface of the affected quartz crystals.